← Will Czech’s CEZ try again for Temelin tender? The 7th ‘Future of Energy’ Thorium Energy Alliance Conference will be held this June 3rd and 4th at the Stanford Sheraton Conference Hotel Palo Alto Ca. USA. Leading developers of nuclear technologies that use thorium will attend the meeting. University of Illinois Nuclear Engineering. In an email to this blog Kutsch said that the importance of thorium as a fuel is that unlike today’s reactors, high-temperature thorium liquid-fueled reactors can reduce the risk of radiation releases and greatly reduce issues related to spent-fuel and the proliferation of weapons grade material. An April 2014 article in the Economist assessed the outlook for thorium as a fuel in world energy markets. Several conference sections deal with the critical relationship between thorium and rare earths. Rare earth elements are critically important in virtually all high-tech industries, essential for the consumer, to national defense and green-technology sectors. All windmills and most solar cells require rare earth elements to function. Rare earths are found in every smart phone currently manufactured as well as all the DoD’s advanced weapons systems found in all branches of the military. “The need for a reliable, domestic supply chain for rare earth elements is critical for the advancement of U.S.’s global position in these emerging industries as well as the defense of our nation” said Kutsch. MIT has a resource web page on rare earth deposits by country and by element. The House (H.R. 4883) and Senate (S.R. 2006) bills, both titled “The National Rare Earth Cooperative Act” (NRECA) would have created a privately funded multi-national rare earth cooperative between the U.S. and Japan, the European Union, and Canada. The cooperative would utilize abundant rare earth materials that U.S. and Canadian mines currently discard because the rare earth elements are often found with Thorium, a mildly radioactive natural element. The bill died without committee action in the 113th Congress that ended in December 2014. As part of NRECA, Thorium would be safely stored by a multi-national corporation that will develop commercial uses for Thorium and Thorium energy systems. The Thorium Energy Corporation would be required to seek out direct investment from sovereign entities (International Atomic Energy Agency member states). It is too early to know whether the legislation will be re-introduced into the 114th Congress. 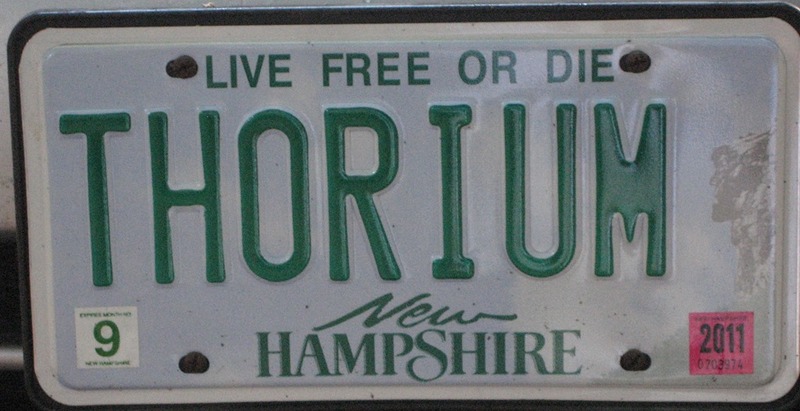 The Thorium Energy Alliance [TEA] describes itself as the largest, oldest, most influential organization to advocate and teach about the opportunities of thorium energy and materials, molten salt reactors and rare earth metals.